I took my annual pilgrimage to the Inbound Conference during the week of September 4th. The week began with the Hubspot Partner Day event on Tuesday. 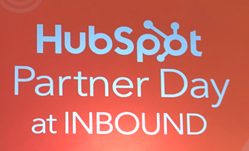 This day provided me with the opportunity to meet with other partners and gain a preview of the new Hubspot’s marketing plans and their newly released products and new features. The Inbound Marketing Conference ran from Wednesday through Friday. My typical approach to the conference is to sign up for sessions in advance that follow a set of themed topics. The themes I selected this year are Facebook (ads and video), video marketing, sales enablement, and Hubspot product features. I also attend the keynote presentations with particular interest in the presentations by Hubspot leadership. 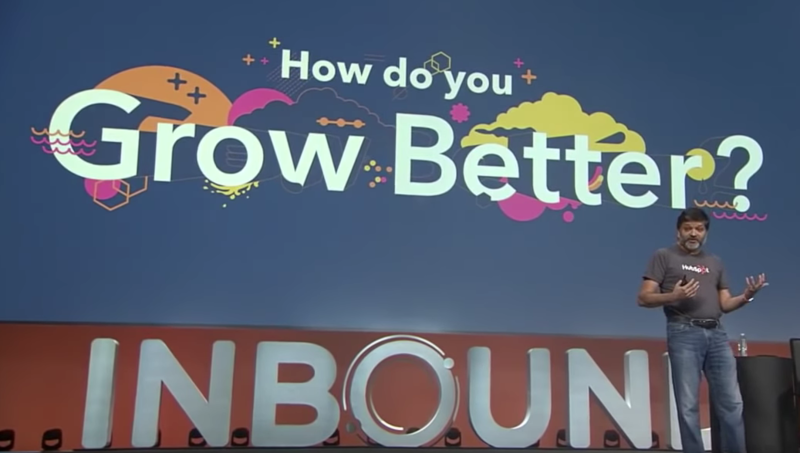 It is my goal in this article to share what I have learned, which is only a small subset of what was available at Inbound18, for your educational pleasure. Since this is a significantly longer article than I usually publish, I have added a clickable index below so you can zero in on the topics of your choice. Enjoy! This concept applies to your personal and professional life. Change requires risk. You should be prepared to fail. Her messages rang true to me because my experience with several startups required risk-taking, so I am accustomed to taking risks, but strategy and planning must come first, was the message for the marketing professionals in the audience. When you fail, you learn lessons you will never forget. There is a lot more to learn from her talk. 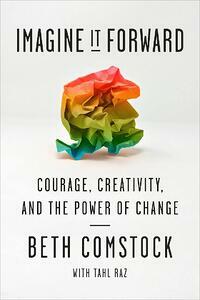 Please check out Beth’s presentation here and explore her book here. The first breakout session I attended was by “Keenan,” a self-described sales expert. I can tell you that his message resonated with me and he was a very dynamic speaker. His point is, every sale starts with a problem. We understand intuitively that our prospects have salespeople bombarding them with requests for meetings so they can pitch their products. It is the rare sales rep who takes the time to understand the core problem the prospect has and helps them understand the solutions in a way that gives the sales rep the power and control of the sales process. Keenan's presentation is available on YouTube at this link. Understand their problem. One that may be worth them investing resources in solving. He shared that most sales reps do not spend enough time exploring the current state and this will become evident in a moment why more time should be spent here. Explore the impact of not solving the problem. This enables the rep to accurately establish the value your solution delivers to the prospect because it is the gap between the current state and future state that represents the value and represents the ROI. Understand the root cause of the problem. By identifying the root cause of the problem, this is where you create credibility for yourself and your business. Often businesses improperly diagnose the cause of their problem and attempt to implement solutions that do not really work. Diagnosing root cause builds trust. It's all about change. Change is the root of every sale you make. Most salespeople start at the future state. 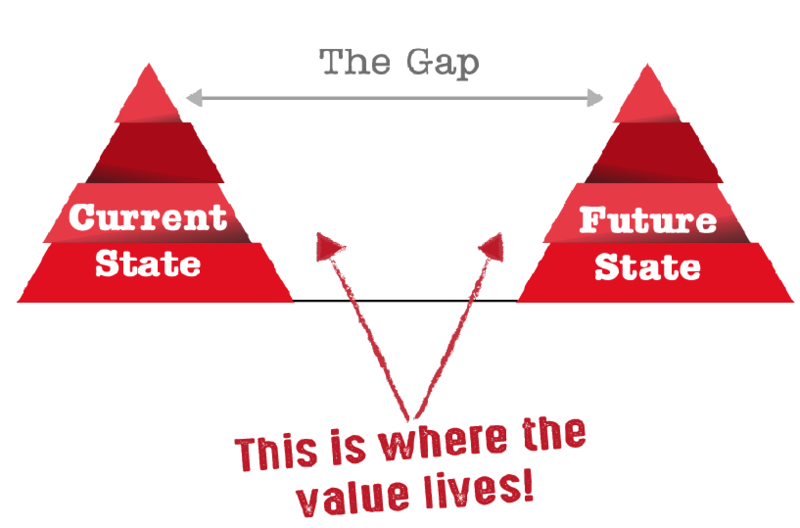 If you do not identify the gap (between the current state and the future state), then you don’t know the value. Understand the current state and future state so you can represent the value accurately to the prospect. In the end, he summarized by saying that Problem Centric Selling gives the sales rep control of the sales process. How do Keenan’s teachings relate to a marketing strategy for Content Marketing? It is quite simple. As your business explores those problems (triggers) and root causes that cause prospects to buy from you, choose the top triggers and create content clusters about each trigger. This is an important content marketing strategy for any Inbound Marketer. Check out our content strategy process to learn more. A perennial favorite presentation is by Mari Smith. This year, the title of her performance was titled “Facebook Video Marketing: How to Optimize Results Using Video on Demand (VOD) and Live Broadcasts. According to Mari, Facebook is striving to become a video TV platform like YouTube, Netflix, Amazon, Hulu, and others because viewers love to watch a video. They are targeting Facebook Messenger for conversational commerce and voice, not just chat. Instagram is not being left alone. They are planning an Instagram standalone shopping application. According to Mari, videos that are uploaded natively onto Facebook get much better results than videos that are shared through links (example, YouTube video). I can understand this because each platform wants exclusive content. I have seen the same effect with LinkedIn. I have experienced a 400% better visibility and engagement for native videos on LinkedIn than when I create a post with a YouTube video. Digital media in the form of video is extremely useful for marketers, and using it natively on each platform is clearly the best way to benefit from it. Similar to the way YouTube embeds advertising into videos on their platform, Facebook will soon do the same. Mari mentioned that these “Video Ad Breaks” which are 5 to 15 seconds in duration are an opportunity for advertisers to get more exposure. Instagram video is also becoming more important for stories and advertisers. She suggested that we all should create the video in a vertical format. Well, if you are like me, video production can be challenging enough to create a standard video, never mind also creating a vertical one. Wouldn't you know that she had a great suggestion to address the multi-format video need? Try out wave.video because it can simultaneously help you to develop and render video in multiple formats. Her summary point is that marketing leaders should embrace video in their marketing strategy and plan the extra time to publish them natively on each platform in the most optimum format and aspect ratio. Like previous years, Hubspot CEO, Brian Halligan’s (@bhalligan) presentation was both insightful and entertaining. If you are interested in watching the keynote, you can find it here. Brian made this important point during his talk - The largest influencer of buying decisions is referrals from friends and colleagues. Because of this pivotal point, businesses must delight their customers to grow. I think this point was always a factor in buying decisions. His point is that many of the other elements in the buying process have lost credibility over time, so referrals have become a much more significant factor. The implication of the referral-based buying journey, according to Brian, the traditional sales funnel is broken. 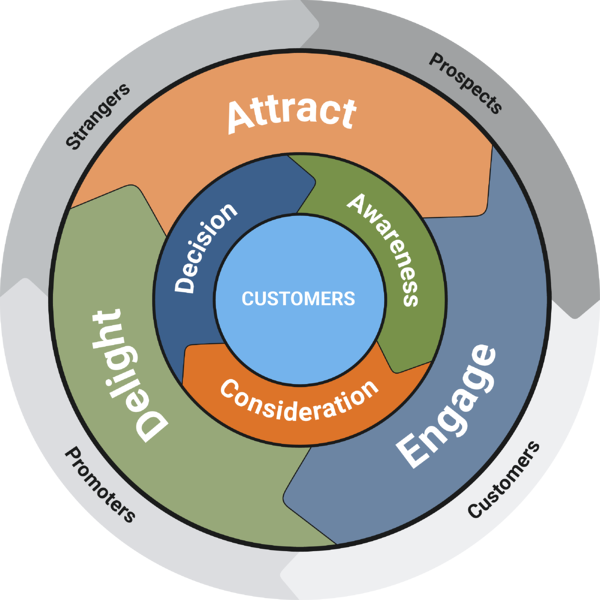 He described the new business dynamic and representation of the customer engagement model like a flywheel. It has a sense of leverage, force, and momentum as customer delight for business growth. Your business has forces that help to propel the flywheel faster and business issues that create friction in your business model. This is the image he showed during the conference when unveiling the flywheel business model concept. 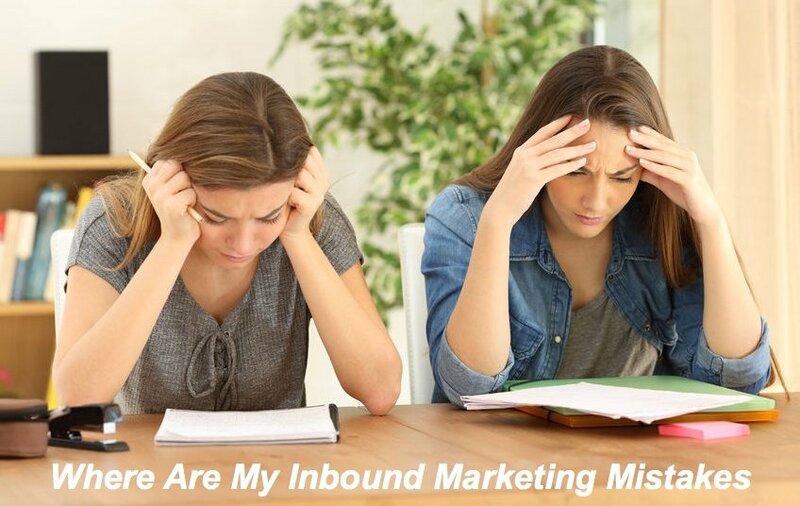 Businesses who have implemented inbound marketing (versus outbound marketing) understand that your investments in inbound establish momentum since the content, nurturing emails, premium content offers and each digital marketing funnel you create, delivers recurring organic value, visits and leads for your business. It has the customer at the center because we should all be focused on customer success. Around the customer is the journey each prospect goes through as they traverse the "Buyer's Journey" of information as they address their problems and informational needs. 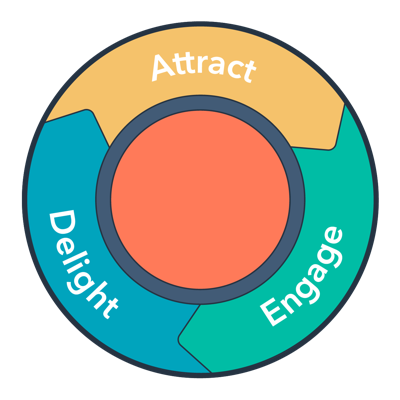 Around that are the actions that marketers must take to bring prospects to their business, engage them with helpful information and once they have become a customer, take steps to delight them and keep your company top-of-mind so they refer their friends to your business. And finally, the outer section describes their journey from strangers to prospects to customers to promoters of your products and services - which is where you want them based on the new purchasing bias as described by Brian. Dharmesh Shah, Hubspot CTO (@dharmesh), gave a presentation that supported the concepts introduced by Brian about creating customer delight with every touch. He focused on the idea that businesses who operate with a moral foundation and “solve for the customer” will Grow Better. He discussed these concepts in depth while sharing both personal and business examples of growing better. It was a feel-good story. 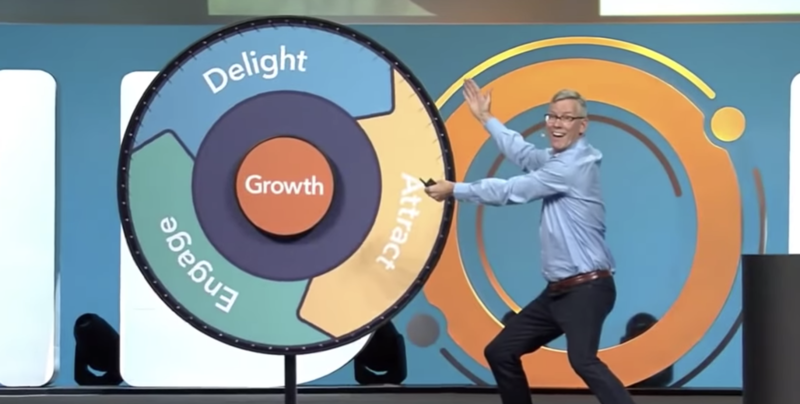 The irony of this message is, shortly after the conference, enterprise customers lost capability when Hubspot rolled out the new features they launched at Inbound to customers. Following Dharmesh’s own advice to Grow Better, the company publicly apologized for their error, communicated their efforts to resolve the issue. Frankly, every business makes mistakes. It is the ones that own up to it and focus on helping clients that build stronger bonds with them. 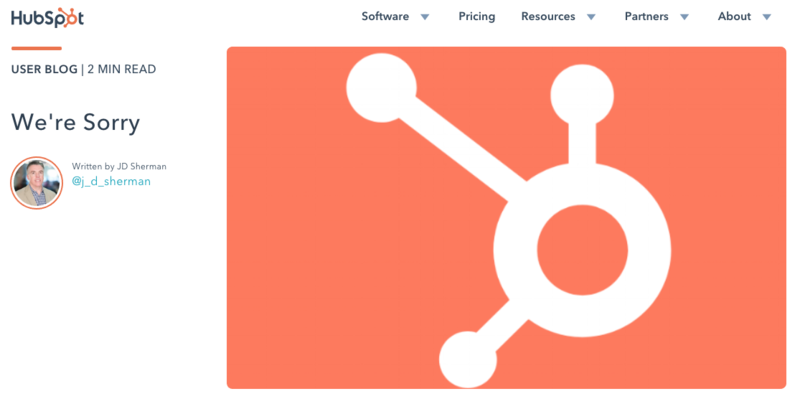 One of the new features that Hubspot announced for Professional and Enterprise customers is the ability to host videos for marketing and sales on Hubspot. We have all used videos with Hubspot, but we had to use platforms like Wistia, Vimeo, YouTube and others to host the video and then insert an embed link (or code) into the website content. Hubspot has partnered with VidYard to provide features for their hosting implementation. That is the technical bit. The exciting bit for marketers and salespeople is what you can now do with video and the simplicity of doing it. Anyone who has implemented Inbound Marketing knows how vital analytics are to success. This integrated video solution brings all of the video analytics into the platform. You can now see how much of each video any individual visitor viewed. Businesses can also trigger workflows based on video behavior which opens up many exciting nurturing options. The use of explainer videos is on the rise. Understanding how much your audience views the video can help businesses update videos for better engagement. And lastly, marketer’s can embed CTAs and forms within the videos. Sales teams have discovered that using a brief person to person video really helps the engagement with prospects. When doing a cold outreach email, most prospects will most likely delete your email. If you create a custom video - it does not have to be polished or well produced - they most likely will be curious about the video and watch it. If your elevator pitch addresses a problem they have - see the problem based selling section above - then your engagement rate for your emails should skyrocket. If you would like to learn more about the launch of the Hubspot video capability, check out this link. Ayat Shukairy (@ayat) “The Queen of CRO” gave a great talk about Conversion Rate Optimization to an eager group at Inbound18. For those who may not know what CRO is, it is a process and methodology to increase the conversion rate of an offer in any digital platform. It could be on a website or phone browser, in mobile apps, through email marketing or any application where you are trying to get a casual user to convert on an offer. The better job you do with the click-through rate and conversion to a sale, the better the ROI on your marketing program. 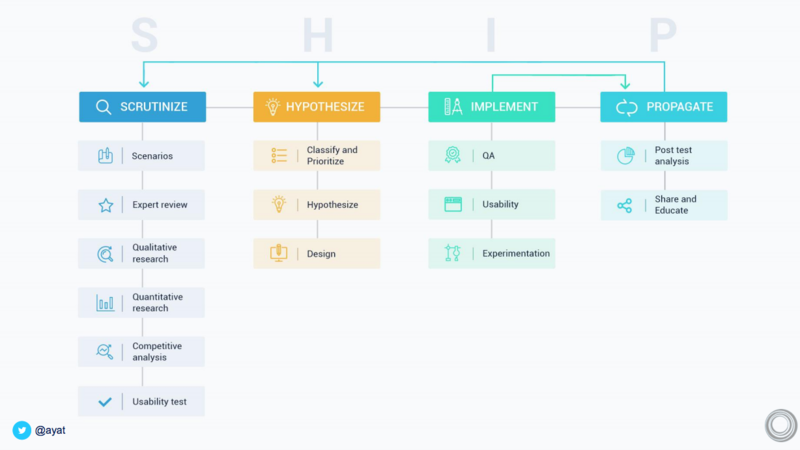 Ayat shared her methodology for CRO using the acronym S-H-I-P as shown in the image below. S-H-I-P stands for Scrutinize - Hypothesize - Implement - Propagate. The nice aspect of her methodology is she describes clear steps behind the science behind doing CRO correctly. This breakout session was lead by Doug Weiss, the lead of product partnerships at Facebook. This is the first time I saw a presentation by a Facebook employee about the platform. His insight provided a fresh perspective, but my antenna was up for any company bias in his presentation. 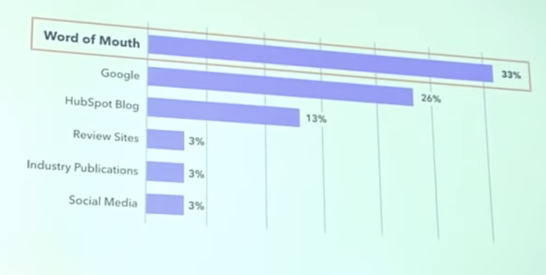 Doug shared statistics about user behavior. According to Facebook, users spend 5 hours per day on mobile devices, up from three hours just two years ago. That is a lot of time. 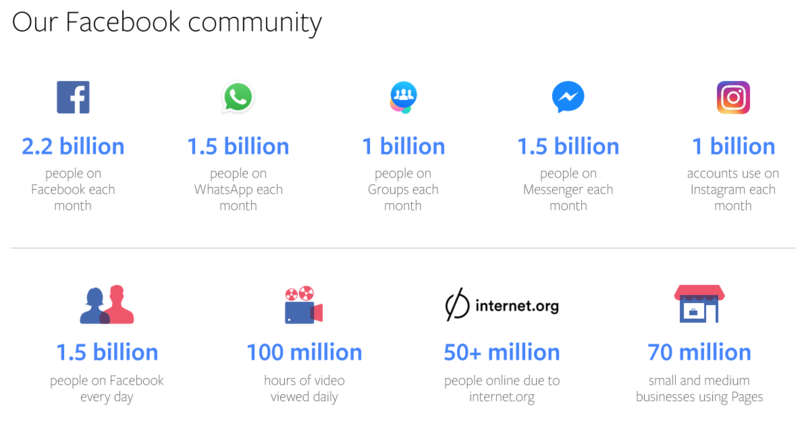 Facebook has five products with a billion people on their mobile apps every month. We are most familiar with Facebook, Instagram, WhatsApp, Facebook Messenger, and Facebook Groups. Although we think that the world has already shifted to mobile for commerce, Doug also mentioned in the US, 90% of business is done offline but influenced by digital and mobile device use. The influence in purchase decisions, especially from organic search is well known for B2C and B2B businesses. 1) Facebook completes the fields automatically because they know about the user thus eliminating the need to complete most or all of the form. 2) Businesses can automatically integrate the data from Facebook lead ads into their marketing database. Hubspot provides this capability out of the box. Doug shared the statistic that standard forms filled out on a mobile device take 40% longer to fill out than on a desktop. If users are moving online behavior to mobile, then it makes sense that businesses should make it easier for companies to engage. We’ve been supporting clients with Facebook ads because the targeting is very precise, so businesses do not pay for advertisement placements to people who are not their target prospects. We have also found these advertisements to be cost effective and produce a positive ROI. When running ads, don’t just look at how users interact with your ads, also measure the downstream conversion metrics and ROI. Testing and analytics are essential for every online advertisement program. Plan a testing phase before committing to a substantial investment to be sure the investment will produce the best results. This image shows the behavior of beginners versus experts and the relative results of each. A perennial favorite of mine is the presentation by Matthew Howells-Barby (@matthewbarby) & Lars Osterberg (@larsosterberg) of Hubspot. Matthew is their top SEO expert at the company and has driven many changes that have increased organic results at Hubspot. He further added for SEO to be done right, increase topical relevance, reduce content bloat, and improve technical SEO. For topical relevance, be sure to create topic clusters with the core pillar content and related content around it with links to the pillar content. To reduce content bloat, review your website pages which are receiving little or no traffic and either delete them or merge or refactor multiple articles into one and publish as new. For technical SEO, you need a tool to analyze your website and provide lists of items to fix. We like and use SemRush and create SemRush projects for each client to monitor site SEO even after we have addressed all of the open issues. 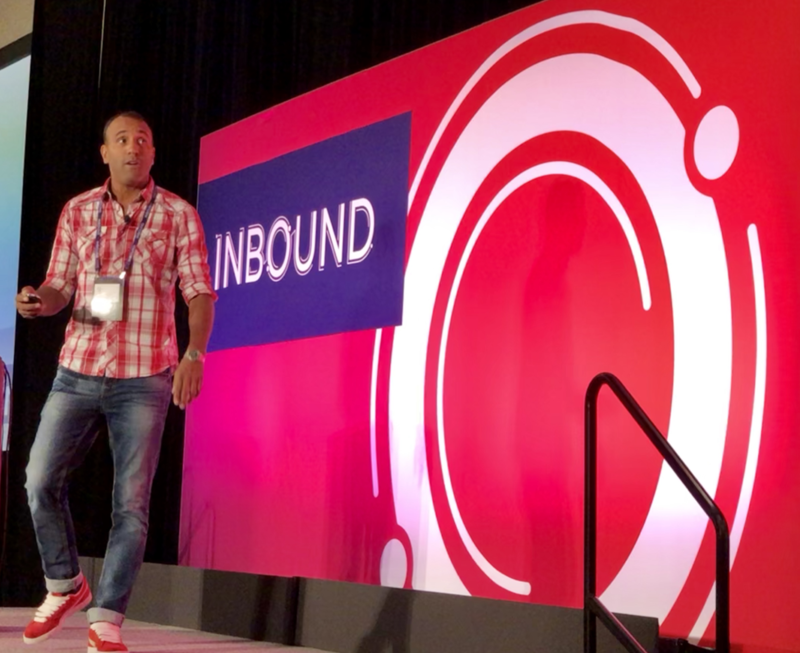 Closing out this article about Inbound18 is a summary of a presentation by Everett Ackerman (@everettackerman), SEO/SEM expert at NewBreed. 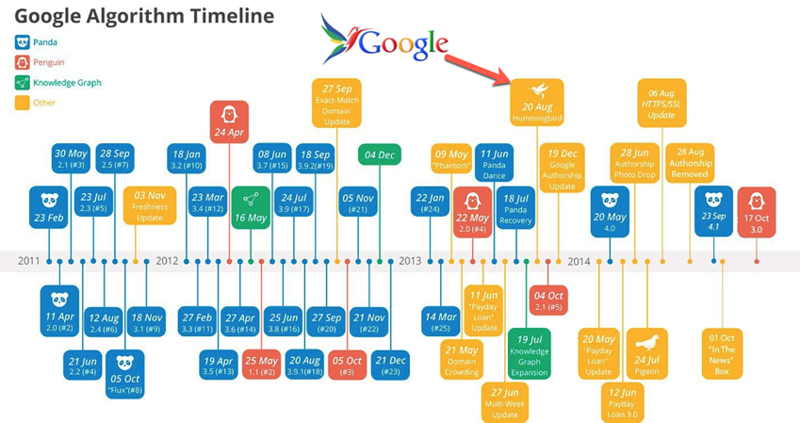 He did a great job of describing the changes in the Google search engine algorithms but emphasized the August 2014 launch of Hummingbird. Like others in the conference, Everett also emphasized creating content in clusters as we have written about in the past and as Hubspot now enables in their platform to quickly develop clusters and track each content cluster’s performance and contribution to sales. 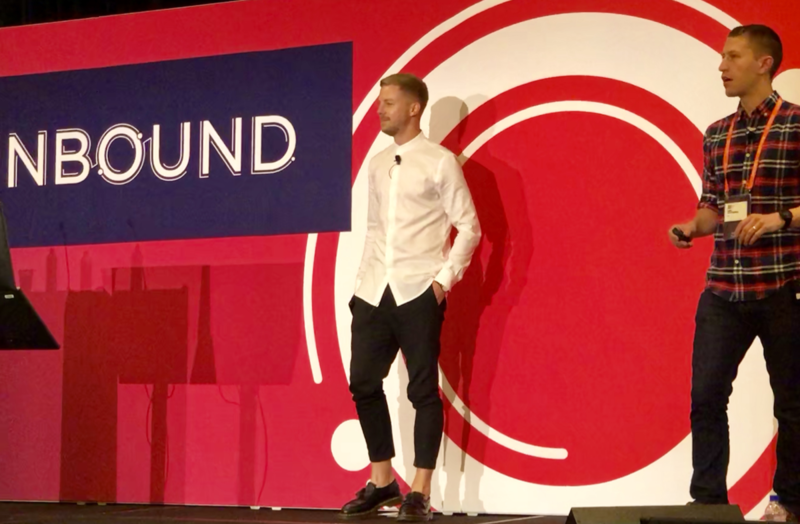 I hope you find this article, although very long, as a great resource about the few sessions that I was able to attend the Inbound18 conference in Boston. I will freely admit that I have already purchased my ticket to Inbound19 marketing event next year. For me, life is a constant journey for learning and improving. Inbound for me is a tremendous resource for education and engaging with like-minded business owners. 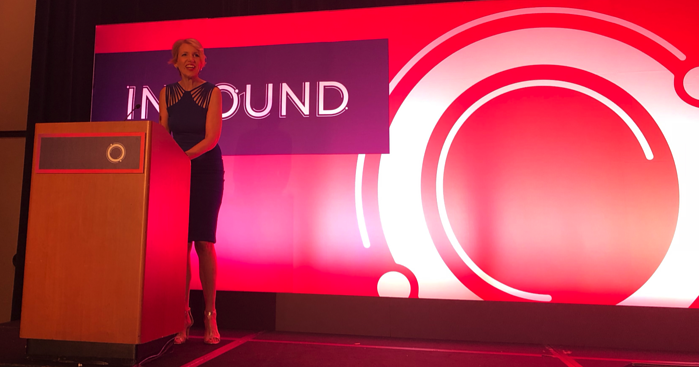 During the breaks between sessions, I had the opportunity to speak with people from several companies and industries who are implementing Inbound for their business with the goal of growing. I love that these people are so passionate about how it can help them grow and engaged in the community. Download a free digital copy of this article by clicking on the image or this link. If you are in need of advice regarding how to improve your inbound results, please request a free inbound Marketing assessment. We love helping businesses grow. 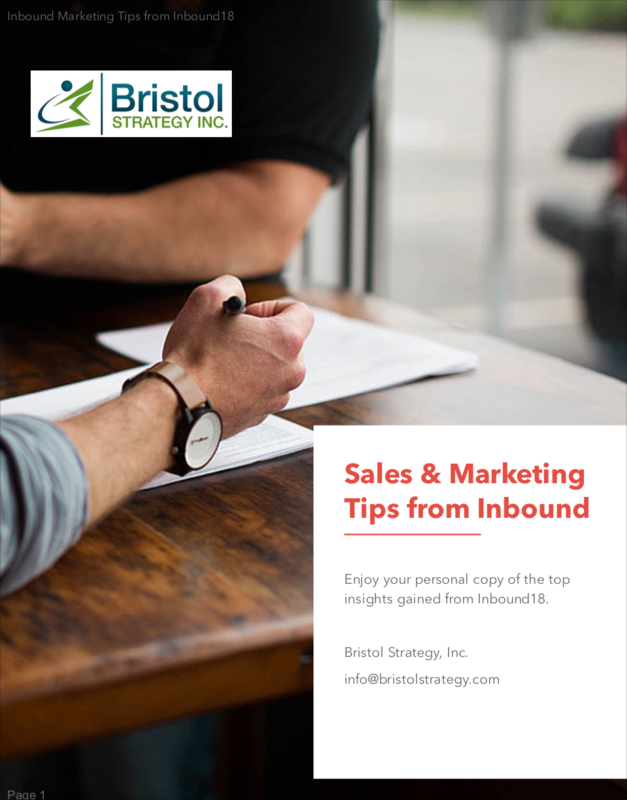 Bristol Strategy is a “full funnel” inbound marketing agency and inbound sales agency offering comprehensive Inbound Marketing services that enable our clients to surpass their business objectives by transforming the way they engage with their buyers on-line. Reach out to us to learn more about how our proven processes can help your business grow.